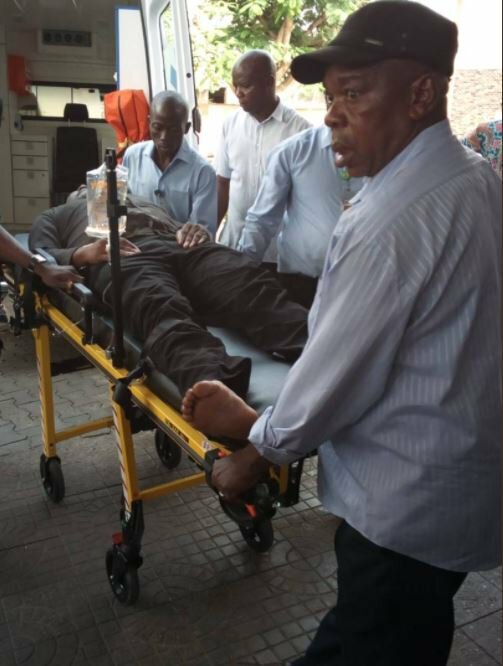 Senator Dino Melaye Tuesday was said to be in the intensive care unit of Zankli hospital opposite the Ministry of Power, Works and Housing, Mabushi in Abuja. The embattled lawmaker representing Kogi West was arrested this morning from his residence in Abuja, following the police siege on house that started yesterday afternoon. But the lawmaker, who later submitted himself to police for arrest, had issues with the security operatives on their way to Kogi state contrary to the wish of the lawmaker. Melaye has been objecting to the decision to either be arrested by the Kogi police command or arraigned before the Kogi high court on security grounds which reportedly pitched him against the law enforcement agents. The fear of Melaye’s safety was heightened following lingering political difference he has been having with Governor Yahaya Bello of his home state. 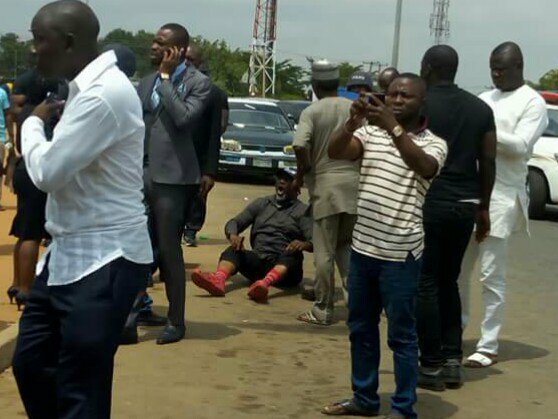 Eyewitness account said the lawmaker was injured as a result of his refusal and struggle with the armed policemen inside a police van on their way to Kogi high court.